It’s a terrible thing seeing your wife and son blown to pieces, especially for a man who’s smiling and waving just as the bombs go off. It’s a ridiculous setup, shamefully sans ludicrous signifiers for joy: cotton candy, balloons and skipping girls. Crazy Colombian terrorist Claudio “El Lobo” Perrini (Cliff Curtis) asks, “Sangre o libertad?” They call it collateral damage: you kill our people, we kill your people. Bin Laden ascribes to the same mantra but Andrew Davis’s Collateral Damage is entirely too dumb to show interest in condemning American aggression or treating terrorism as anything other than a fireworks factory. 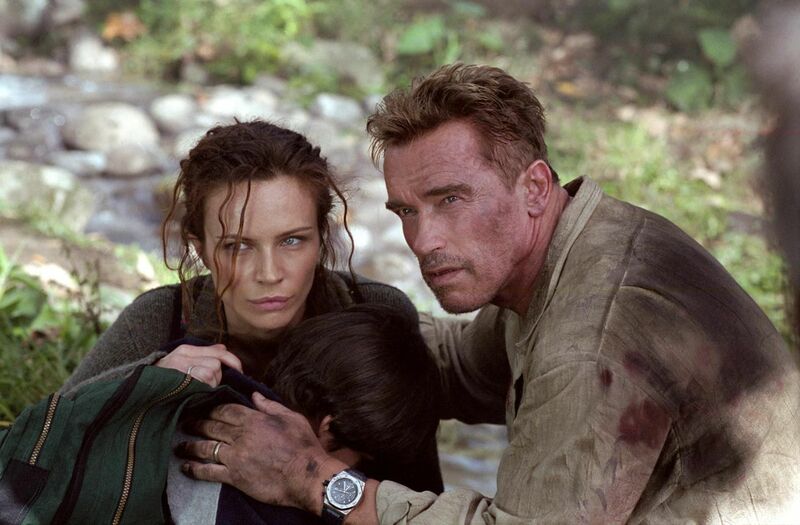 This eye-for-an-eye procedural is all about getting firefighter Gordon Brewer (Arnold Schwarzenegger) in and out of Columbia with Perrini’s head on a platter. “You cannot take the law into your own hands,” says the naïve F.B.I. agent. Oh but he can. Ten minutes later, Brewer has penetrated Columbia and sets his sights on guerilla territory. Schwarzenegger’s Brewer, referred to as a “German sausage” and “sauerkraut” on two separate occasions, goes baloney for Selena, a Columbian mamacita so white you’d swear it was Michelle Pfeiffer doing pro bono work. For added irony, Selena gallivants around town with a deaf Columbian kid. Hellbent on preventing another mother/son blowout session, Brewer gets comfy with Selena just after schmoozing his way into Perrini territory with the help of John Lequizamo’s campesino rapper. Typical of Hollywood terrorist schlock, there are equal measures of spurious, paperback discourse and unique torture mechanisms.